The ‘Act East Policy’ is a political gesture to increase the pace of ‘Look East Policy’ that is meant to connect North-East India (NEI) to South and South-East Asia(SaSEA). It is a policy that has been couched as an answer to various questions of geopolitics, national security, nation building, infrastructure development, resource utilisation, and trade in the region. As a gesture, it is imbibed with a lot of symbolisms and meanings. However, the policy has drawn a flak from various sections of society within North-East India. In principle, it has been a conscious policy of infrastructural ensemble and re-colonisation of resources which by-passes the local. This particular outlook of the state of India is driven by a certain discourse, perpetually pushing, at the same time, multiple conflicts under the carpet. Look East Policy was initiated during PV Narasimha Rao’s government in the year 1992. As a policy outline, it sought to integrate the region and its margins to a much-developed area (SEA) as well as increase the connectivity of NEI region to the rest of India. The Rao government moved in snail’s pace to realise its goals—building mega-dams, Trans-Asian highways, Asian Railway Link, Natural Gas and so on. On a later stage, the policy was extended beyond SEA to the South and East Asian countries too. This policy can be seen in the light of reshaping of political alliances after the Cold War and the fall of the Soviet Union. Moreover, the East Asian miracle also was of much interest to most countries. India hoped that it could benefit from its neighbours due to its geographical proximity and the positive relations that it shares with SEA. It is also in other sense, a policy which is directed at building ‘security architecture’ of the country. The right wing government at the centre argues that the pace of development during the short life of Act East, when compared to Look East, is very promising. It seeks to further the philosophy of looking east through its focus on ‘connectivity, culture and commerce’. They argue that the bilateral trade agreements have leap-frogged. The Act East policy goes beyond ASEAN countries and now reaches out to Japan, Australia, Pacific Island Nations, South Korea and Mongolia. The optimists even claim that the fruits of such a foreign and trade policy are sweet indeed. Japan’s promised investment in the high-speed railway is shown to us as the shining example of such benefits. However, there were many organised oppositions against the consequences of such an extensive infrastructural development and policy by various local tribal bodies, student unions in Arunachal Pradesh and Assam, members of the academia, and from the larger civil society. For instance, the Krishak Mukti Sangram Samitee (KMSS) led by the peasant leader and Rights to Information Act (RTI) activist Akhil Gogoi has been the forefront of this battle on dams in North-east. These various concerned groups were asking the basic question—at what cost, and for who is this so called development? As much as these questions are moral and ethical in its nature, it is also essentially a reflective of survival of local people and their everyday living. Raising question to such developmental projects and opposing them can also make life difficult for people, as we saw in the case of Akhil Gogoi and his colleagues who have been continually harassed by successive governments. There is no change of opinion from Pranab Mukherjee to Narendra Modi. They speak the same language of the state that bypasses the people's voice or consent. Look East, and subsequently Act East, reduces the entire region's cultural, social and economic spaces into a mere corridor to fulfill the dreams of the policy initiative. It is nothing but ‘politics of self-actualization’. Policies directed at the region are ‘blind, self-directed and intransitive’. Between Look East and Act East, the choices of people suffered the most. It is the most undemocratic of its kind. It is only capable of fulfilling the elite, upper caste and Delhi-based politicians. Such bypassing of the local in arriving at a consensus is a typical example of structural violence orchestrated by the various institutions of the state—a modern micro and macro governmentality complex. The Look East, by its very name, suggests that the people do not have a vision in life! However, the people have been looking East and have interacted with the East for centuries. There is no need to even remind us to Act East either. If that is the case, whose looking and acting are we talking about? The nation is not shared equally nor is the market. Act East/Look East leaves everything to the market to achieve—a holy equilibrium of supply and demand. The market in a capitalist state is a site of injustice. This positionality of the state—imposing development and making people thankful about—brings about a typical case of life as narrated by Dostoevsky in ‘Underground Man’. Similar to Dostoevsky’s character, where he is engaged in an ‘inexhaustible dialogue’, the Act East policy is also a reality of our predicament. It is a question not just of one’s life but of the entire cosmos that surrounds that life—a life world. The state likes the infrastructural ensemble. However, the larger question is—would you like to live in a place where there is an impending danger of your home and hearth being washed away? Or, is it a glass palace the Modi and Ambanis want to build it, and not live in it? 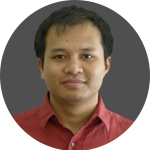 Suraj Gogoi is doctoral student at the Department of Sociology, National University of Singapore. He is interested in social and political history of India?s North East.